Cookies are found throughout the world and by many names, as they are one of the most common desserts. Their history extends back to 7th century Persia, which was one of the first countries to grow and harvest sugar, according to What's Cooking America, as small "testers" for cakes. Over the centuries, cookies have developed and spread, and are made of everything from peanut butter and chocolate to sesame seeds and ginger. Benne Wafers are thin, crispy cookies made of toasted sesame and the taste is reminiscent of almond or caramel. The dessert has been a specialty of South Carolina's Low Country since Colonial times after being brought to the colonies from East Africa. "Benne" is the Bantu word for "sesame," and the seeds were planted throughout the south. The black and white cookie is synonymous with New York City. The cookies have a dry, vanilla cookie base topped with bisected chocolate and vanilla fondant icing. They are sold in bakeries and delis all over the city and are technically not cookies at all, but drop-cakes -- the batter is like that of a cupcake, but with extra flour, so it doesn't run everywhere when dollops are dropped onto a baking sheet. Glaser Bake Shop on First Avenue is famous for its black and white cookies. It's local lore that the recipe was one of the original pastries John and Justine Glaser opened the bakery with in 1902, after immigrating from Bavaria. Herb Glaser, John and Justine's grandson, said in a 1998 article in The New York Times, "When I was growing up, I'd have two of them for dessert every day. I was a fat kid." Chocolate chip cookies are the classic drop cookies. Though originally made with semisweet chocolate chips, these cookies can be reimagined with milk chocolate, white chocolate, strawberry, butterscotch, etc. Creation of the chocolate chip cookie can actually be attributed to one woman -- Ruth Graves Wakefield. She was a dietitian and educator at Framingham State Normal School Department of Household Arts, where she lectured about foods in the 1920s. In 1930, she and her husband Kenneth Wakefield bought a tourist lodge in Whitman, Massachusetts. They named their business the Toll House Inn, Ruth cooked all the meals and the couple gained local fame. Fortune cookies are crisp, sugar cookies made from flour, sugar, vanilla and sesame seed oil, and are most often found thrown into the bottom of your Chinese takeout bag. But it wasn't actually created in China. The modern-day fortune cookies were invented in San Francisco by Japanese immigrant Makoto Hagiwara in the late 1890s or early 1900s. The cookies were popular with Japanese-Americans until around World War II, when many people of Japanese descent were placed in internment camps. This gave Chinese manufacturers an opportunity to take over, and they took it. Fried cookies are one of the eight basic types of cookies, along with bar cookies, drop cookies, molded cookies, pressed cookies, refrigerator cookies, rolled cookies and sandwich cookies. They are essentially just fried dough coated in sugar. Some of the most popular fried cookies are Jewish/Polish krusczyki, Italian zeppole and Mexican churros. All are light, airy and sweet. Gingerbread is a prime example of rolled cookies, which means the cookies are made from a stiffer dough that is chilled, rolled out and then cut into shapes with a cookie cutter. The cookies are harder than many other pastries, and often topped with icing designs. Gingerbread is a staple of the holiday season thanks to gingerbread houses and people, which originated in Germany in the 16th century and rose in popularity after the Brothers Grimm wrote the Hansel and Gretel fairytale. The ginger treats were popular throughout Europe and brought to the Americas with European settlers. Gingersnaps are flat, circular cookies that get their name from the snapping sound they make when these crispy treats are eaten. Because they contain so much ginger, they tend to be spicier than their gingerbread cousins. The cookies were popular throughout England and Germany and colonial settlers brought them over to the Americas. Macaroons are colorful little round cookies made of flour, sugar and egg whites. They're popular in Europe, particularly France, and were invented in Italy in 1533 by chef Catherine de Medicis, whose husband later became King Henry II of France. The cookies have undergone a few transformations throughout the centuries -- the original macaroons were made of almond powder and their colors were much more subdued than today's. It wasn't until the 20th century when macaroons took on the form we know now, of two cookie halves stuck together with a cream filling. 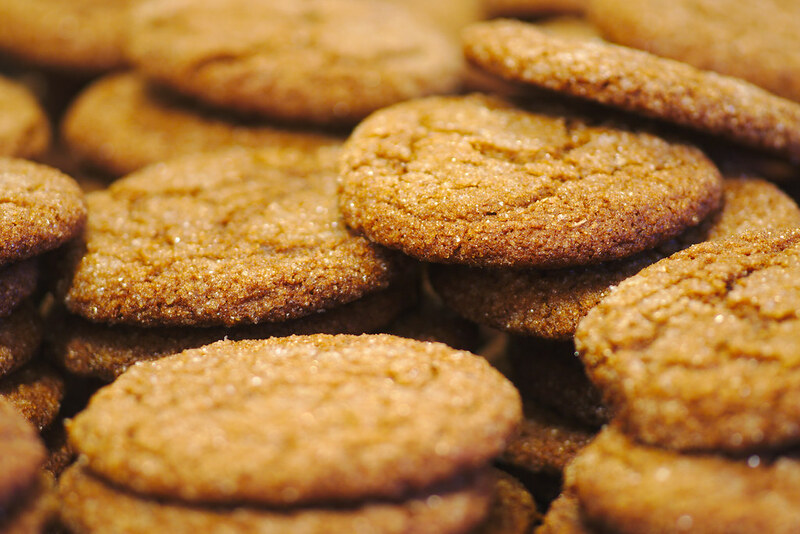 Like chocolate chip cookies, molasses cookies are drop cookies. They're very simple to make and sweetened with molasses and brown sugar acting as sweeteners, and you can also add some flavor with ginger or cinnamon. 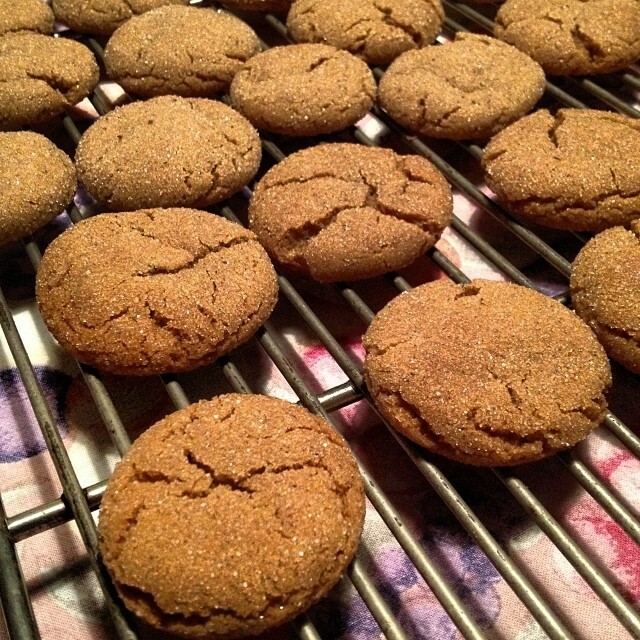 They can be hard like gingersnaps or soft and chewy, depending on the recipe. Oatmeal cookies are drop cookies that can be made simply with oatmeal, or embellished with raisins and nuts. One of the first recipes for oatmeal cookies was documented in 1896 by culinary expert Fannie Merritt Farmer in her book Boston Cooking-School Cook Book, according to Mother Nature Network. These cookies evolved from the oatmeal cakes that were popular throughout the United Kingdom. Peanut butter cookies were developed in the 1910s as George Washington Carver was promoting the peanut and its many uses as a replacement for the cotton crop. In his 1916 publication, How to Grow the Peanut and 105 Ways of Preparing it for Human Consumption, he included three cookie recipes that contained the coveted nut. According to Punchbowl, the first peanut butter cookie recipe was published in 1932 by the Schenectady Gazette, which was the first to not only use peanut butter in cookies, but to promote the now-iconic criss-cross fork marks on top. One of the eight types of cookies, sandwich cookies are two cookies fused together with a filling such as frosting, jam, peanut butter, ice cream or marshmallows. By far, the most popular sandwich cookies are Oreos. Shortbread has a rich history in Scotland, beginning with the medieval "biscuit bread," where any leftover dough from making bread would be dried out in an oven until it hardened. Over the years, the yeast in the bread was replaced by butter and the dessert became shortbread. Shortbread has been dated back to the 12th century, according to Historic UK. Any leftover dough from bread making was dried out in a low oven until it hardened into a type of rusk: the word "biscuit" means "twice cooked". Gradually the yeast in the bread was replaced by butter, and biscuit bread developed into shortbread. 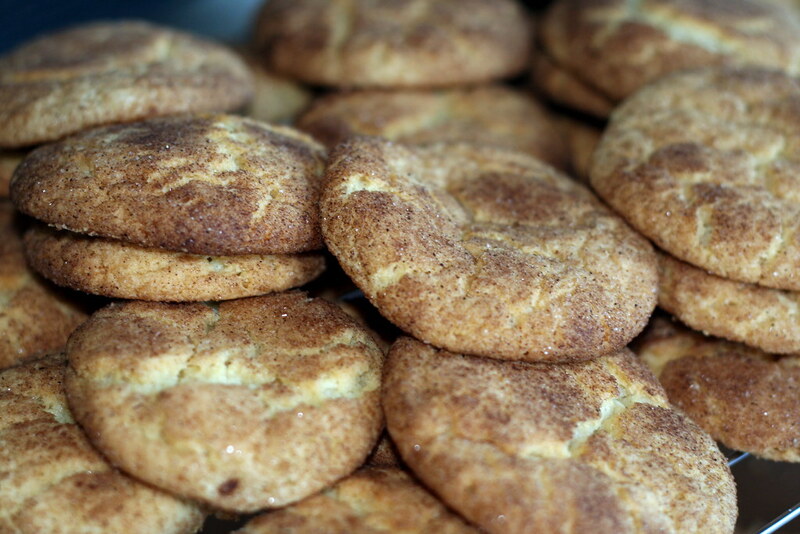 Snickerdoodles are easily identifiable by their cracked surface. They're made with butter, sugar, flour, and are rolled in cinnamon sugar, and can be either crisp or soft depending on the recipe. Irma S. Rombauer's The Joy of Cooking says the cookies originated in Germany, deriving from the German word "Schneckennudel," which literally means "snail noodles." But there are other theories that the cookies come from New England and that their name is merely a whimsical, nonsensical word. These classic cookies are made with sugar, flour, butter, eggs, vanilla and baking powder or soda. Sugar cookies are similar to snickerdoodles, but are rolled in white sugar instead of cinnamon sugar. They can be served in a plethora of ways -- plain or topped with frosting or sprinkles, formed by hand or rolled out and cut into fun shapes, etc. In North America, they are popular during many holidays.